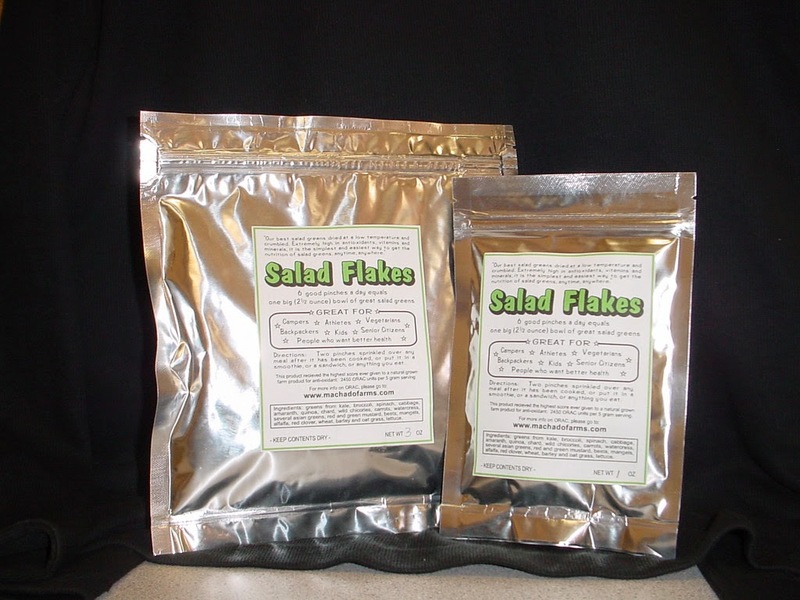 I was nearly seven years ago that I blogged about Rick Machado's excellent agripreneurial idea of Salad Flakes. 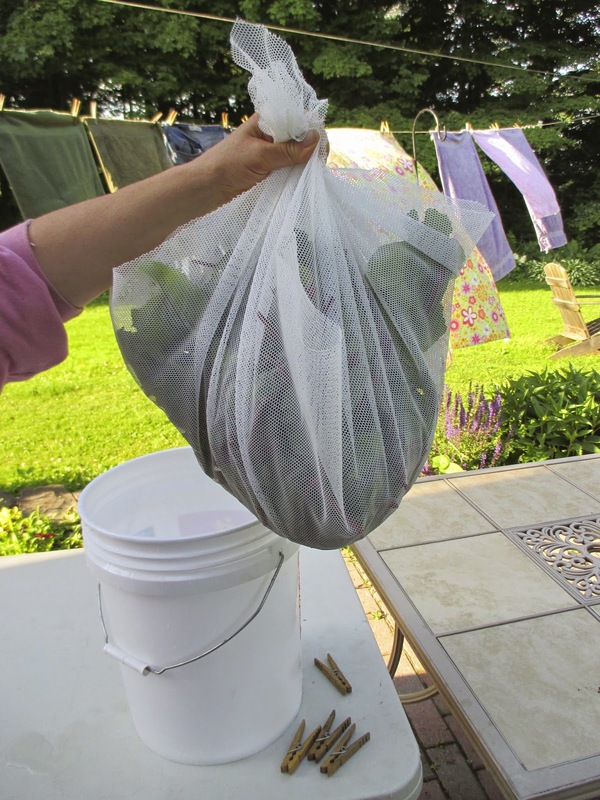 If you are not familiar with Salad Flakes, and you are looking for some homestead-based, cottage industry inspiration, check out that link. Rick Machado is a down-to-earth innovator and I think innovation is an important part of making it as a small-scale farmer these days. 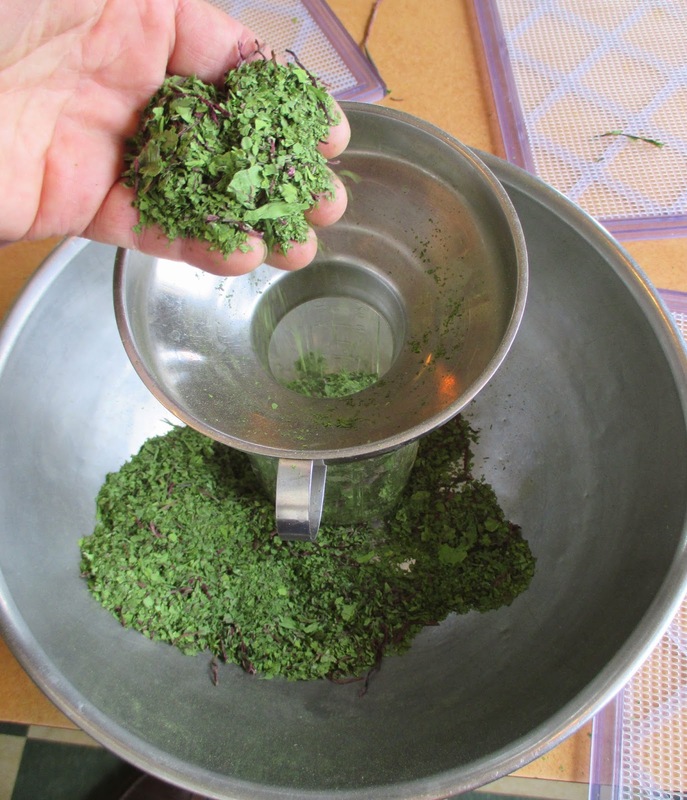 As my old essay shows, I made some of my own dried greens, much like Rick's Salad Flakes. 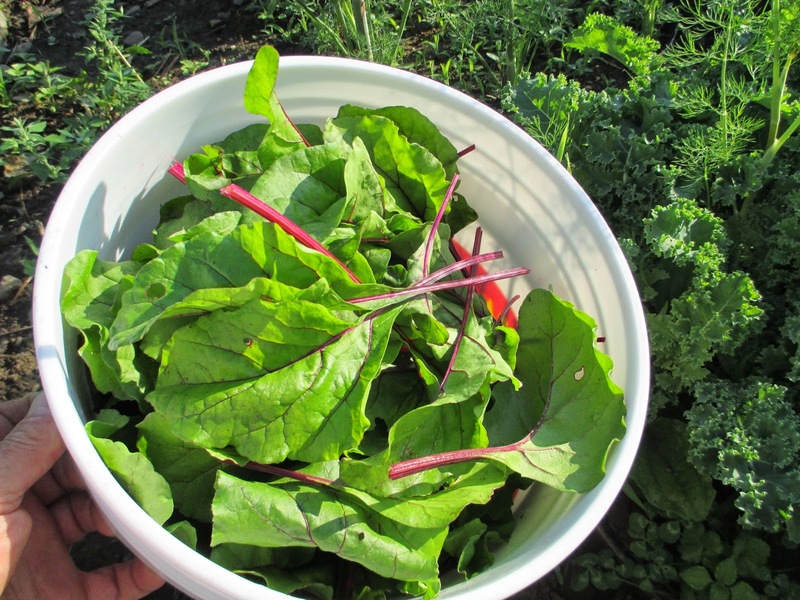 I utilized them as a homegrown nutritional supplement, especially in the winter months. 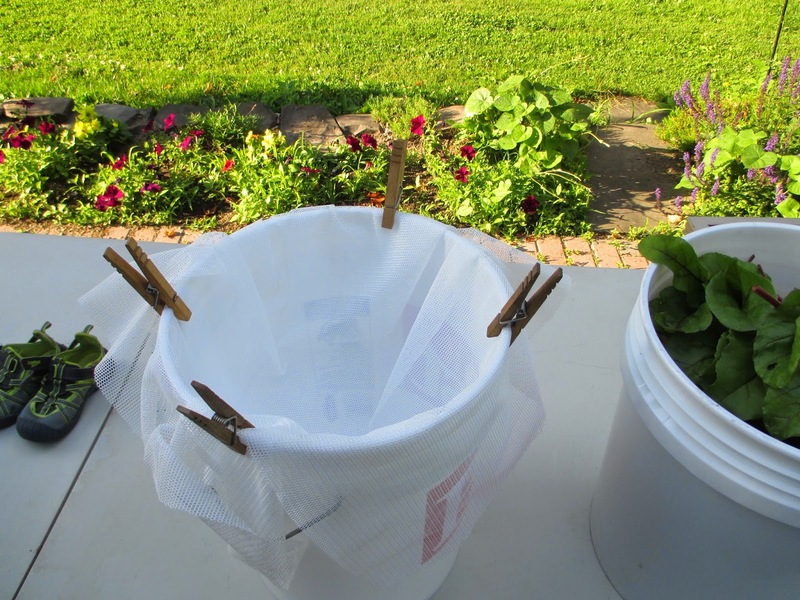 But for the next five winters after that, I had no dried greens. Not until last summer did I finally get around to "putting up" some garden greens again for the winter, and I'm now having a good dose of them every day. I typically mix them into plain yogurt, with some granola and maple syrup. 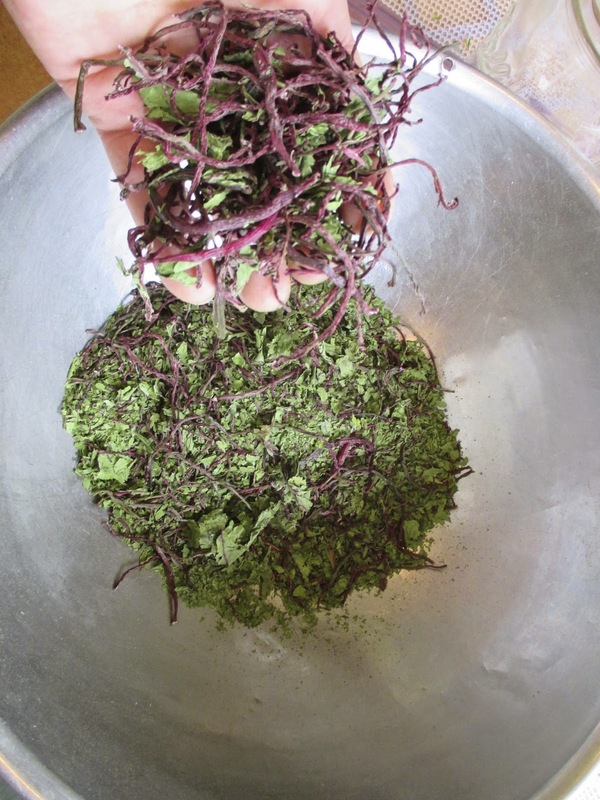 Occasionally I'll put a pinch of dried greens between my cheek and gum, let them slowly rehydrate in my mouth, and enjoy the flavor (dried beet greens are especially nice for this). 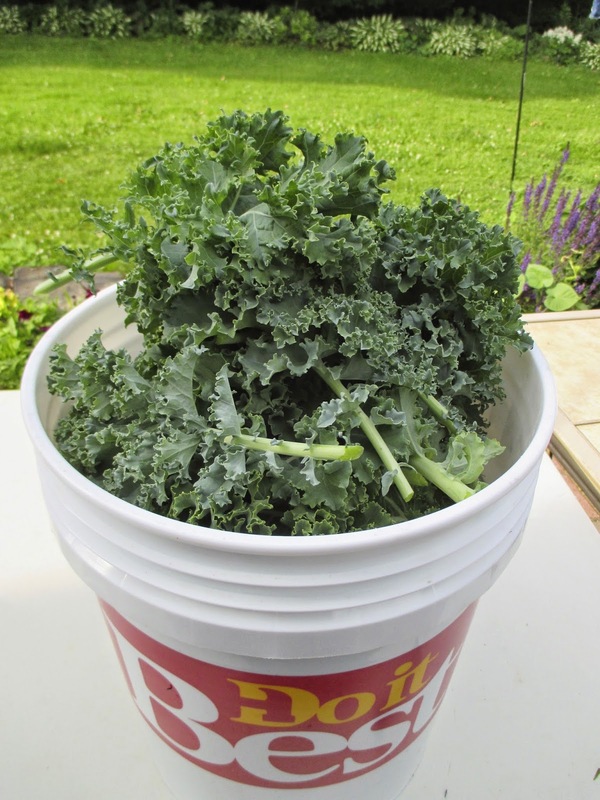 Next, pick a pail of greens. 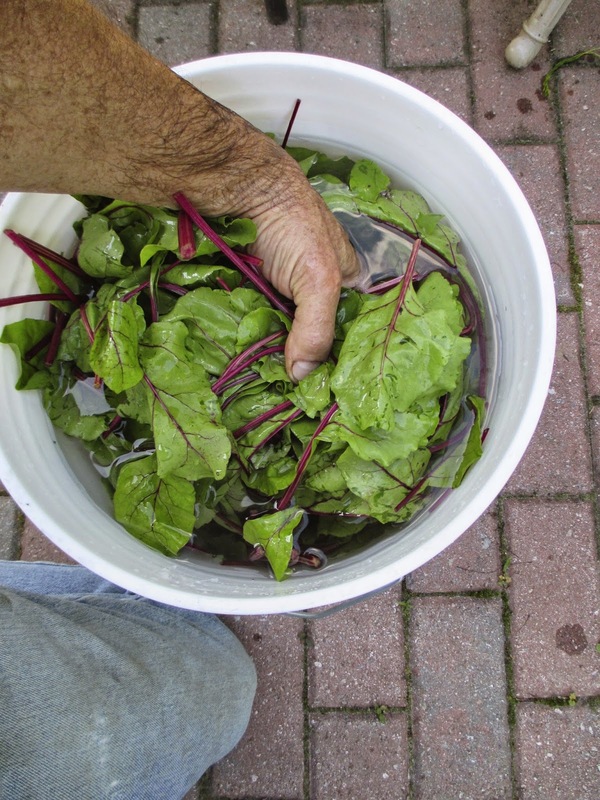 Here we have a pail of beet greens. full of clean water, then agitating the greens. to the bottom of the pail. 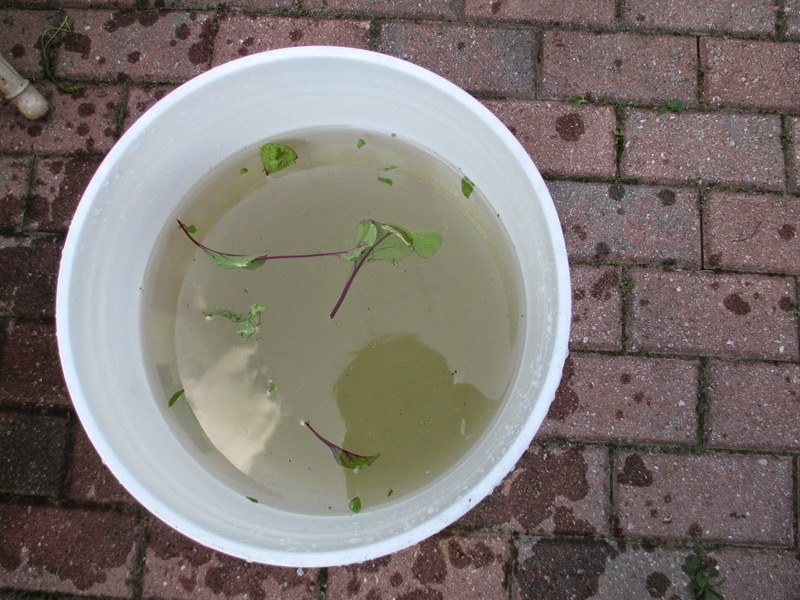 the water after a first washing. they are placed in the fabric colander. some and centrifugal force will remove most of the water. 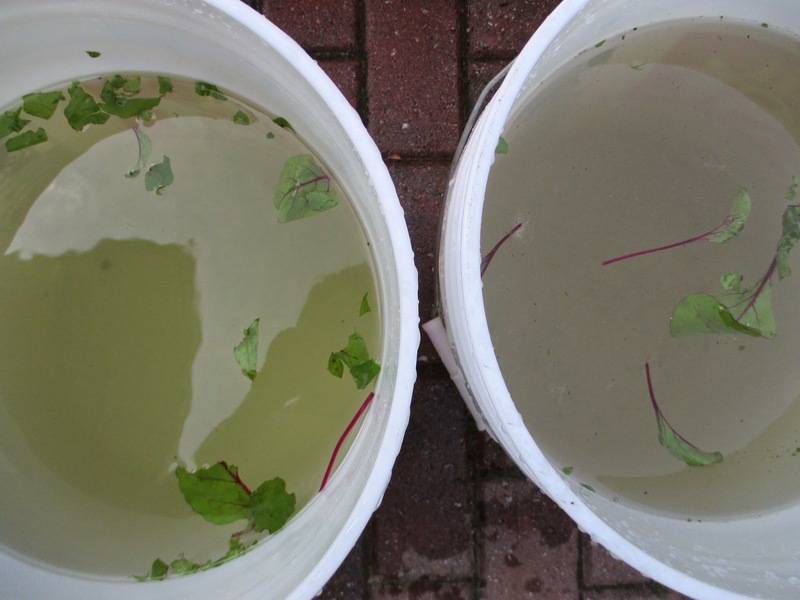 has cleaner and greener water. washing.They are a bit bruised, but clean. 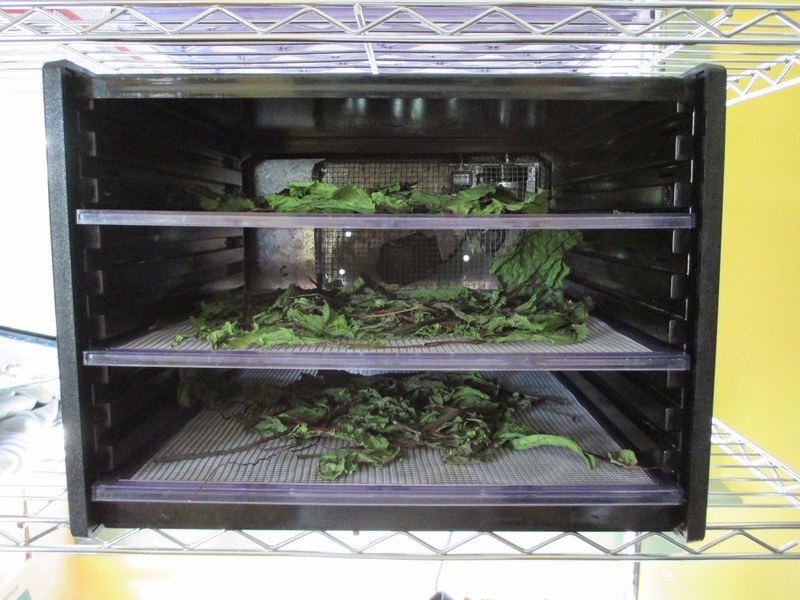 I heap the washed greens on a dehydrator tray, like this. Equiflow food dehydrator as shown here. A few hours later (not long) the greens will be dried and crispy. the heat down low to preserve the nutrients. 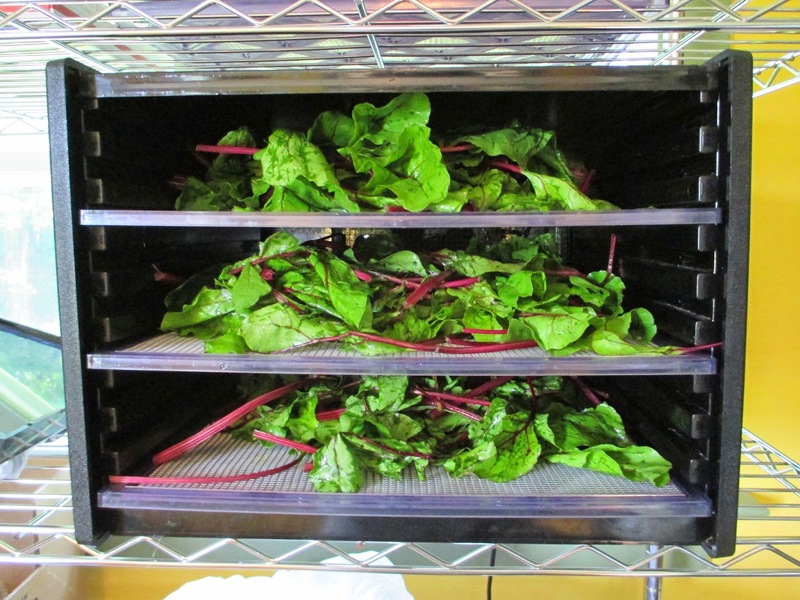 Here you can better see the nicely-dried beet greens. I put the dried greens in a bowl and crumble them by hand. 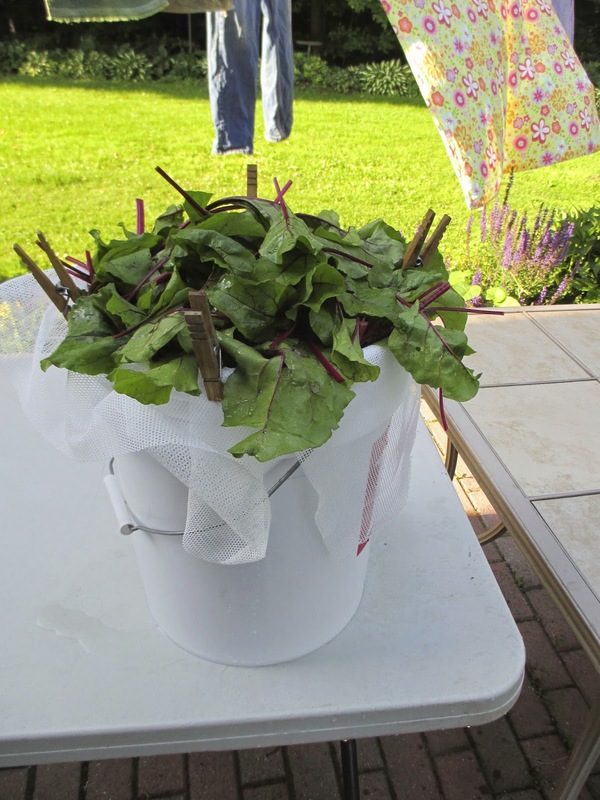 This picture shows the beet green stems that aren't fully dry. They don't crumble and are easily removed. I put the crumbled beet greens into a canning jar. will fill a quart canning jar half way. The industrial system has done a very good job of training their consuming herds to think that the best nutritional supplements are "scientifically formulated" and neatly packaged. Surely, these well-presented products are superior to a nutritional product, like dried greens, that any gardener can easily make himself, or so the marketing geniuses would have us believe. 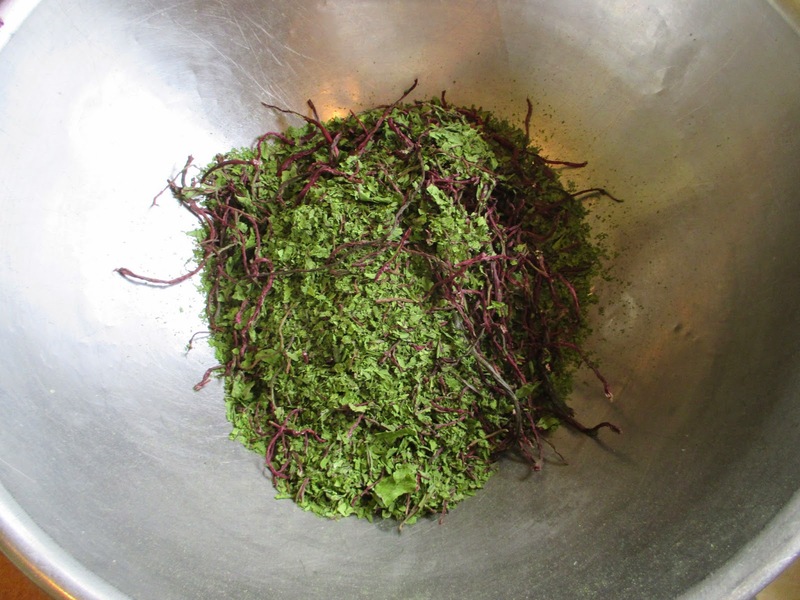 I believe that something as simple and good as homemade dried greens are far better than any synthetic daily multivitamin you can buy in a store. 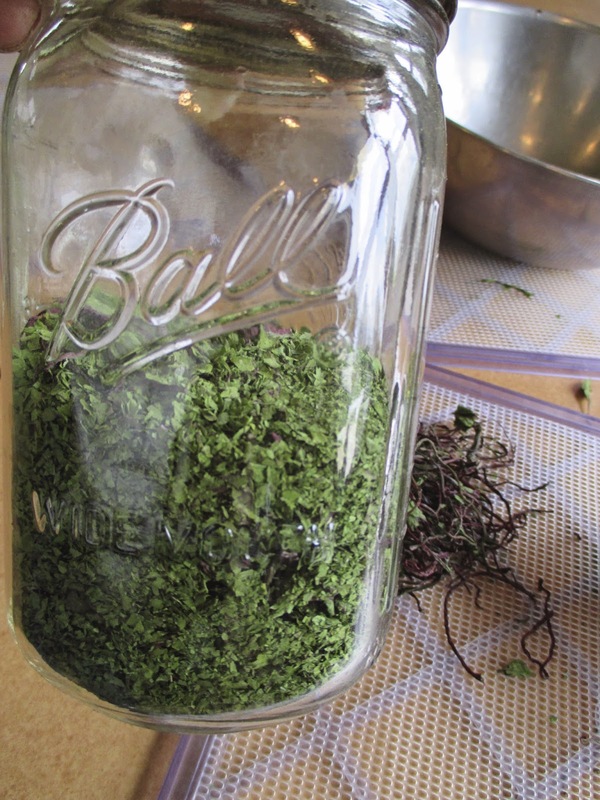 Homemade dried greens are also practically free, but they do take some time and effort to make. I started doing this with what I grew last year. I added carrot tops, tomatoes, bell peppers and carrots. Just ran everything thru the blender item by item and then mixed some of this and some of that to get the blend I wanted, eat with applesauce. 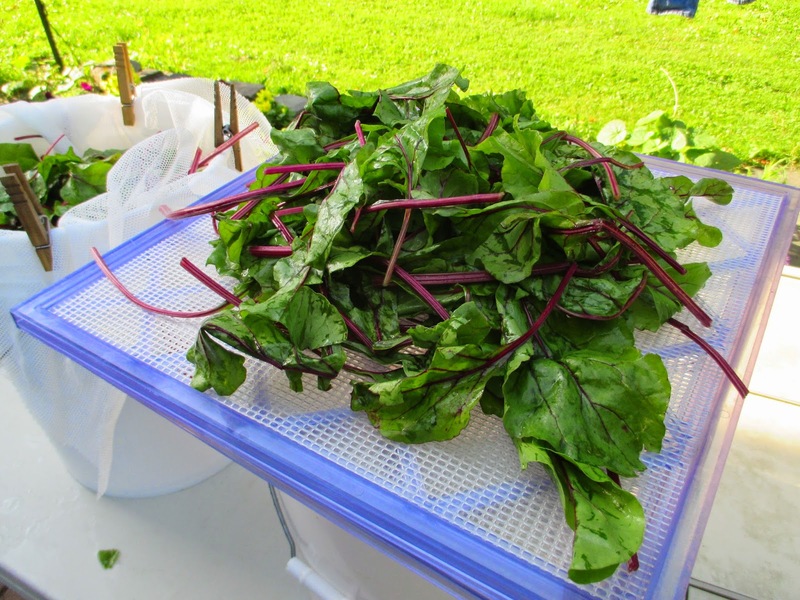 I have never dried salad greens before. 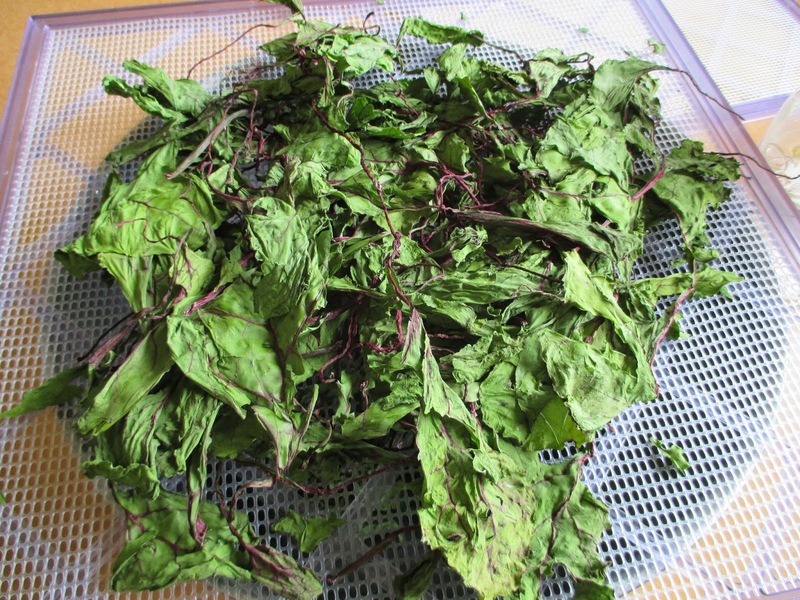 However, I dried mint leaves last summer and stored them as whole leaves. I have enjoyed eating them plain this winter. They have a crisp texture and mint flavor that is milder than fresh mint leaves. They would probably be good in salads too, I just haven't used them for that yet. Awesomesauce! 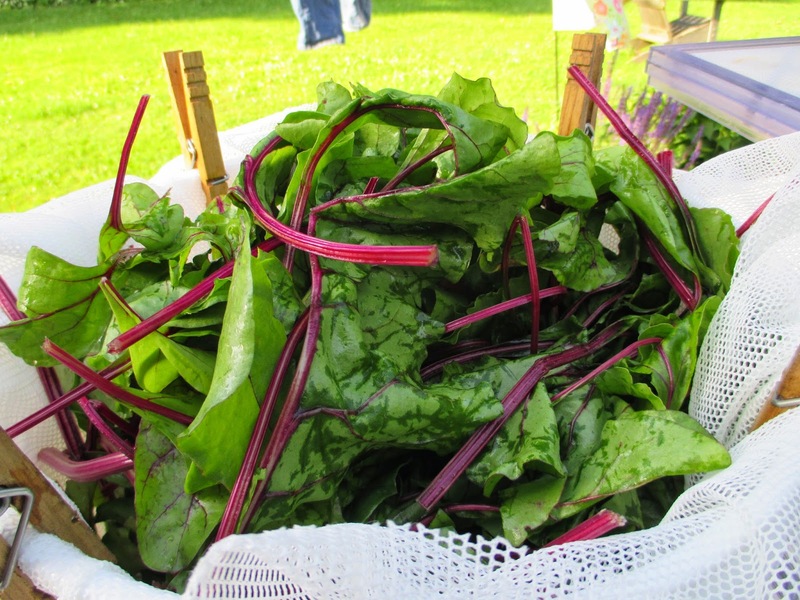 We had so many greens last year and couldn't eat them all. I know what I'm doing this year! Thanx! Great idea - thank you for sharing and for the tutorial! Thanks for sharing this, and beautiful photos of your garden. 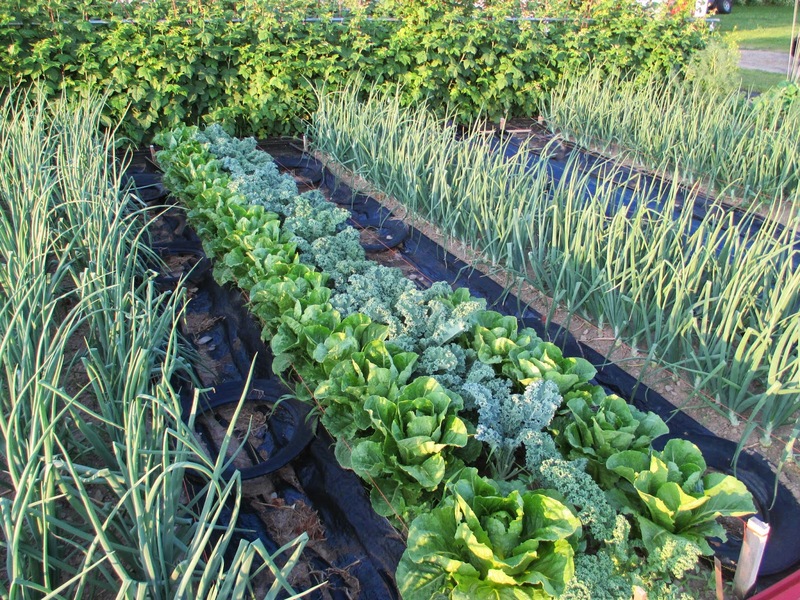 We like growing greens and i look forward to doing this.